A guy called Dave Chalmers had a business called Clan Tent Co. down in Greenock back in the 1970's and amongst other things he made clothing for the military. 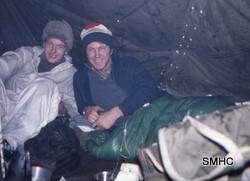 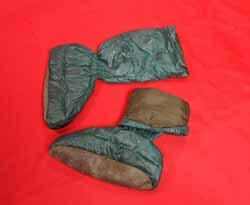 Founder of the Scottish Mountain Heritage Collection, Mick Tighe, was a young Royal Marine at the time and got Dave to make these 'Duvet' boots. 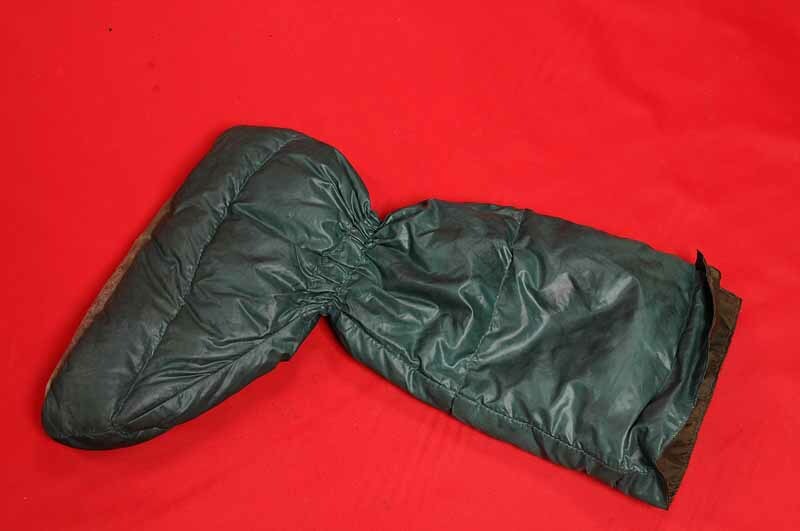 There was a duvet jacket (since lost) and a sleeping bag made from the same materials at the same time. Mick is still using the sleeping bag forty years later. The boots have been used continuously in Norway, to keep Mick's toes cosy, for a similar forty years, but are now ready to retire.